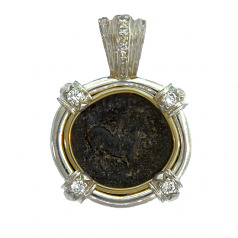 Ancient Greek bronze coin pendant from 4th century B.C., in Sterling Silver and 18Kt Yellow Gold Pendant with 0.18TW Diamonds. 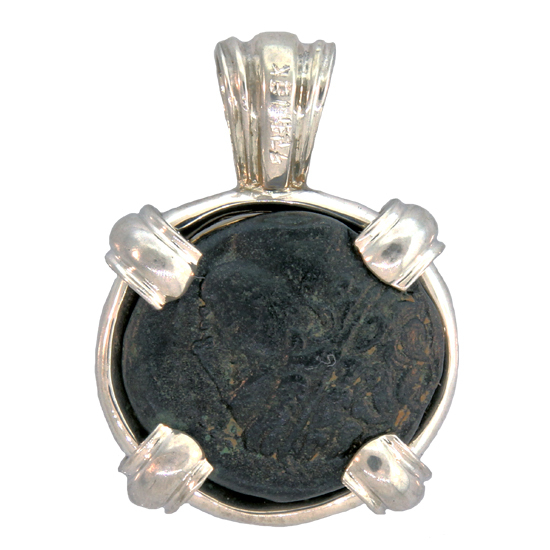 Country of Origin: Macedonian region of Greece, Date: Circa 359-336 B.C., Ruler: Phillip II. Coin Measures 17mm x 18.5mm x 4mm.